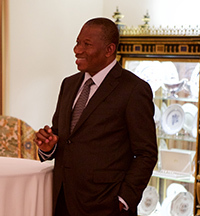 Goodluck Jonathan hosted by the Presidential Precinct. W&M's student-led Bosnia Project continues to have an impact 20 years after peace was brokered in the region. 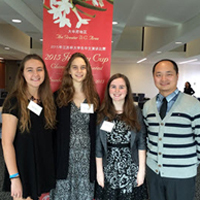 The three W&M undergrads who entered the Jiangsu Cup brought home the top three awards. 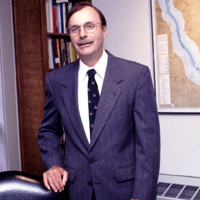 Bill, professor emeritus of government and one of the world's top scholars on Iran, died on Saturday, Nov. 21. 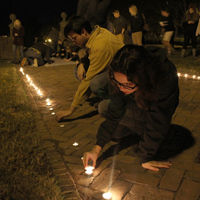 Hundreds of flickering candles lined the brick path leading from the Sunken Garden to the Wren Courtyard Sunday night as the William & Mary community gathered for a moonlight vigil for Friday's terrorist attacks on Paris. 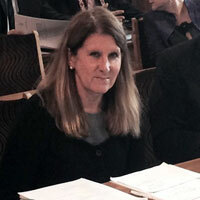 Law Professor Christie Warren was recently in the Ukraine consulting on draft amendments to its constitution. Their "ratings" aren't what one might think. 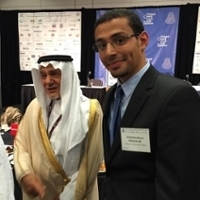 The Raymond A. Mason School of Business was well represented at a recent NCUSAR conference. 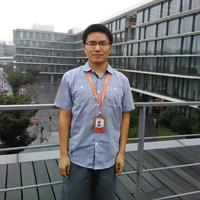 Research conducted with Harvard and Heidelberg universities finds China does not favor authoritarian or corrupt regimes. W&M professors are part of a collaboration that has begun to unravel the secret of the silkworm, an important first step in learning how to produce silks that are more alive than dead. 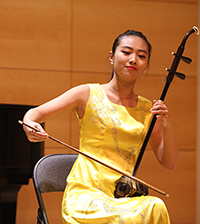 Feng Wang shares her talents at William & Mary. An interdisciplinary team of William & Mary students have brought home one of the biggest prizes in synthetic biology, an honor that has been called the World Cup of Science. 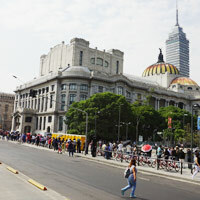 Students and their families made their way across campus to learn about study abroad opportunities. 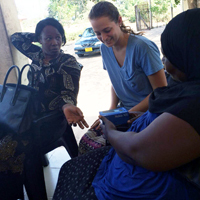 Researchers from W&M are part of an effort to provide cellphones to Tanzanian businesswomen. 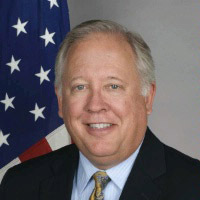 William & Mary alumnus Thomas A. Shannon ’80 has been nominated by President Barack Obama for the position of under secretary for political affairs for the U.S. Department of State, the White House announced Sept. 18. 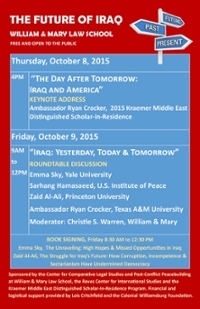 The Reves Center for International Studies and the Program in Comparative Legal Studies and Post-Conflict Peacebuilding at William & Mary Law School are hosting a conference on The Future of Iraq, October 8-9, 2015. 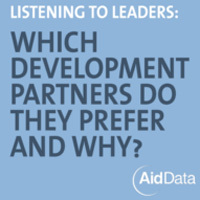 Ann Mei Chang, executive director of the United States Global Development Lab at USAID, praised AidData info for helping to better target development dollars. 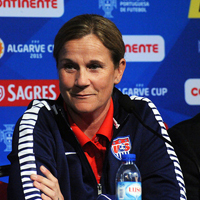 Jill Ellis '88 will attend a women's soccer match vs. Hofstra on Friday, September 25 and a football game vs. Stony Book the following day. Between Williamsburg, Boston and Mexico City, the Muscarelle-curated "Leonardo da Vinci and the Idea of Beauty" has been viewed by more than 360,000 patrons. Online ratings and reviews are a helpful, if imperfect, guide for potential customers. 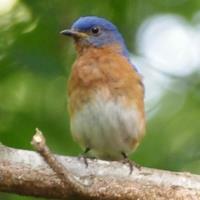 Birds "shout" to be heard over the noise produced by man-made activity, new research has shown. 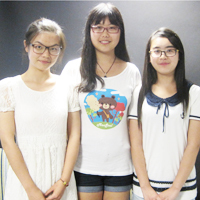 Forty students from Beijing Normal spent five weeks of summer school here taking a variety of courses. 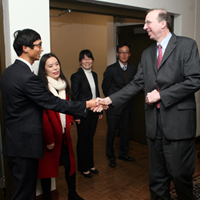 It was the first-ever collaboration of this type between the two universities. 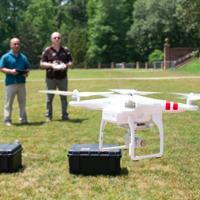 Program adds international development and policy curriculum. 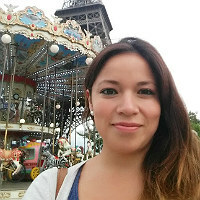 Mariana Navarrete Morales, MBA/MPP '16, is a digital marketing intern with Chatabl, a start-up company founded in 2014 by a team of French and American entrepreneurs and based in Paris, France. 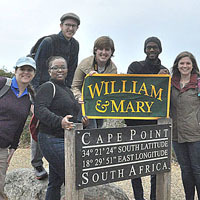 A group of graduate students with the William & Mary School of Education recently traveled to South Africa to learn about higher education and counseling in the country as it continues to evolve 21 years following the end of apartheid. 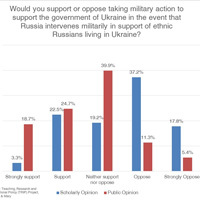 W&M's TRIP and University of Wisconsin's WIPPO polls are a step forward in studying how — and perhaps why — expert and public opinion on international politics and policy issues differs. 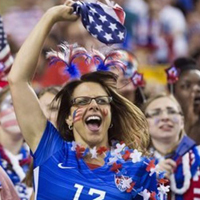 Carli Lloyd's three goals help give coach Jill Ellis' team its first title since 1999. 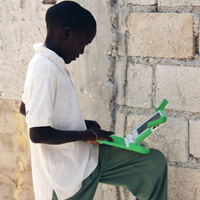 The team's idea to teach children to read and write in Haitian Creole using laptops finished second in a contest at UC-Berkeley. They're in Haiti now, implementing the approach. Gerard Chouin hopes to find evidence to support his belief that the bubonic plague was as destructive a force in urban Africa as it was in the cities of Europe. 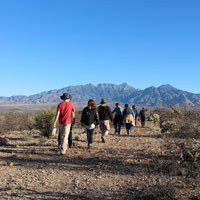 Two professors and nine undergraduate students immersed themselves in field research at the United States-Mexico border, bringing global lessons back to campus and the Williamsburg community. 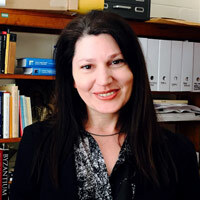 Art History Professor Cristina Stancioiu will study portraiture in remote areas of Crete and Rhodes, thanks to a Franklin Research Grant. 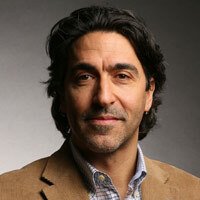 Live videoconference with Beijing- and Hong Kong-based entrepreneur, Danny Levinson '96. 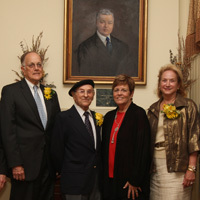 On May 15, 2015, during a ceremony at the Alumni House, five dedicated individuals were welcomed into the Alumni Association as honorary alumni. 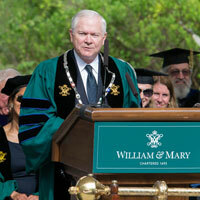 Former Secretary of Defense and William & Mary Chancellor Robert M. Gates '65 urged the Law School's Class of 2015 to embrace public service as one of the "duties and responsibilities that come with citizenship." 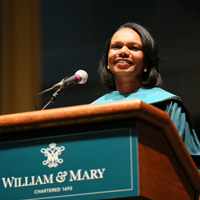 Condoleezza Rice addressed the Class of 2015 at its Commencement ceremony. 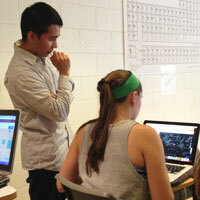 William & Mary students participate in crowdsource mapping to provide data to the relief effort underway following a devastating earthquake in Nepal. 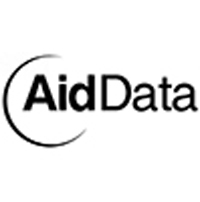 Links for agencies offering assistance and aid. Students in "Arabs in America/Arabs in America" use blog assignment to explore current events through lens of class materials. 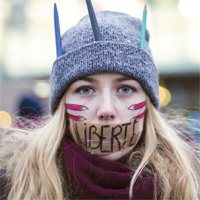 Something in the American psyche revolted on Jan. 7 at the news that the French satire magazine Charlie Hebdo had been attacked by armed terrorists. William & Mary's fifth annual Lemon Project Spring Symposium will feature panel discussions, speakers, a solo theatrical performance and a spoken-word event. 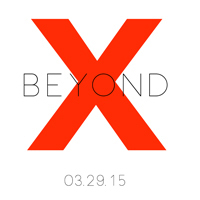 Organizers of William & Mary’s third annual TEDx event are preparing to take audience members “beyond” this year. 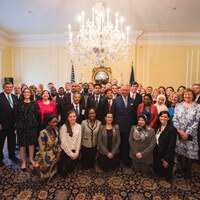 The Presidential Precinct offered two William & Mary in Washington students the chance to promote and handle social media for "Magna Carta 2015," which featured a visit from Prince Charles. 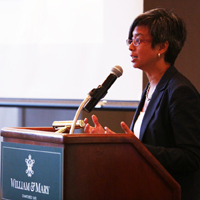 For several years, the William & Mary Law School has been welcoming judges, lawyers and other legal professionals from around the world to campus as international scholars-in-residence. 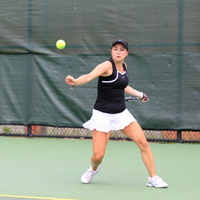 An influx of foreign-born talent has propelled the William & Mary women's tennis team to an outstanding season. Seventeen years since its founding, the William & Mary Bosnia Project is the longest running community service project at the University. 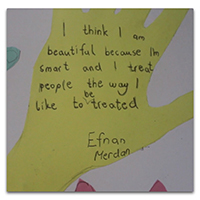 This March, the project, which brings together W&M student volunteers and Bosnian educators to teach English, video production, and cross-cultural communication skills to Bosnian schoolchildren each summer will be recognized with “The Best Practices in International Education Award” for Student Philanthropy by the NASPA International Education Knowledge Community. 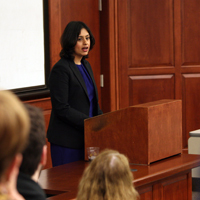 Sara Khan recently delivered a lecture on "ISIS and Women's Rights: The Key Battleground for Extremists" at the W&M Law School. 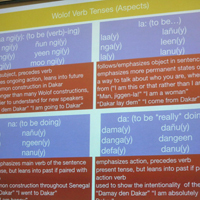 Visiting Assistant Professor of Anthropology Ali Colleen Neff is teaching the AFST 306 class on basic Wolof, a language seen predominantly in the African countries of Senegal, Mauritania and Gambia. William & Mary and its Presidential Precinct partners will host DC event discussing the rule of law and its role in democracy and the global economy. 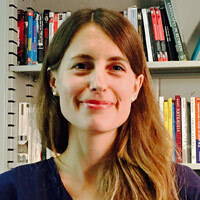 British human rights activist will deliver two lectures on campus. 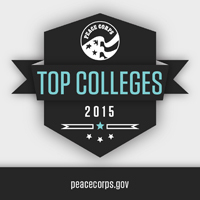 William & Mary is one of the top producers of Peace Corps volunteers in the country, according to a ranking released today by the organization. Five local premieres, sneak preview from Sundance, special guests, film competitions and more highlight 2015 event. 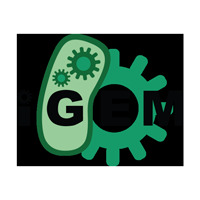 The company again gives cameras, lenses and funding for GFF’s community and youth film projects. For the first time since 2006 when the rankings began, William and Mary has made the list of Top 25 U.S. Undergraduate Institutions to Study International Relations, coming in at 18th. 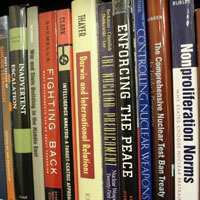 This ranking makes William and Mary the top choice in Virginia for the study of international relations and the number two institution without an international relations Ph.D. program. 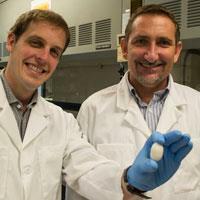 Four professors have been award Reves Faculty Fellowships for research in 2015. 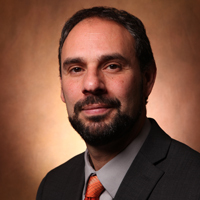 Hispanic Studies Professor John Riofrio will be awarded William & Mary's 2015 Thomas Jefferson Teaching Award on Charter Day. 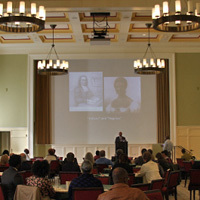 The award recognizes inspirational teachers among younger faculty members. 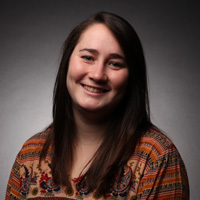 Marge Lobeck '15 will be awarded the 2015 James Monroe Prize in Civic Leadership for her work with organizations like Camp Kesem. 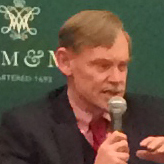 The Teaching, Research and International Policy Project (TRIP) kicked off its “Strengthening the Links” conference at William & Mary on Wednesday evening with a keynote panel well qualified to engage in an honest discussion of the issues that have historically led to some tension and missed opportunities between the academic and public policy worlds. 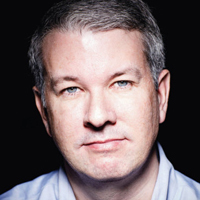 Traveling to Liberia this fall, public health advocate Patrick Flaherty ’92 marshalled his expertise and training to take on a deadly adversary – the Ebola virus.